My edition: Paperback, published in 2011 by HarperCollins, 249 pages. 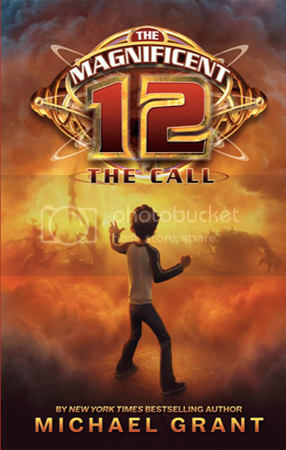 Description: Twelve-year-old Mack MacAvoy is not cut out to be a hero. But one day a three-thousand-year-old man named Grimluk appears and tells Mack he is one of the Magnificent Twelve - an elite team who must save the world from the greatest evil its ever faced. Mack must travel the globe and track down the other eleven kids who will fight the coming terror. But it all sounds a bit dangerous and Mack never planned to be a hero... Will he answer the call? "Grimluk was twelve years old. Like most twelve-year-olds he had a job, a child, two wives and a cow. No. No, wait, that's not true. He had one wife and two cows." "But there was one bully to rule them all, one bully to find them, one bully to bring them all and in the darkness pound them." In short: a young audience will most certainly be entertained by the first book in The Magnificent 12 series. As for the older readers, they shouldn't expect a literary masterpiece, but The Call is a fun read and definitely worth checking out.